Take a look at what our photographer Cassie's been plowing through! 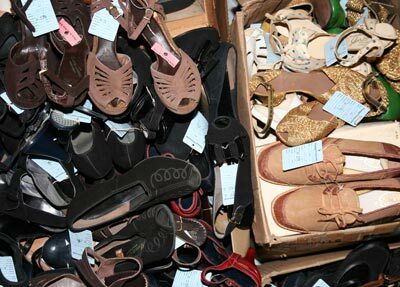 This is just the tip of the footwear iceberg, too... we're processing 835 pairs of unworn vintage shoes, mostly from the 1930s & 40s. Some are already on the site, many more are coming. Keep a close watch as the last collection like this was gone all too quickly. Tres magnifique, vixens!